OMG Posters! » Archive Kevin Tong's New Poster for The Black Keys (Onsale Info) - OMG Posters! 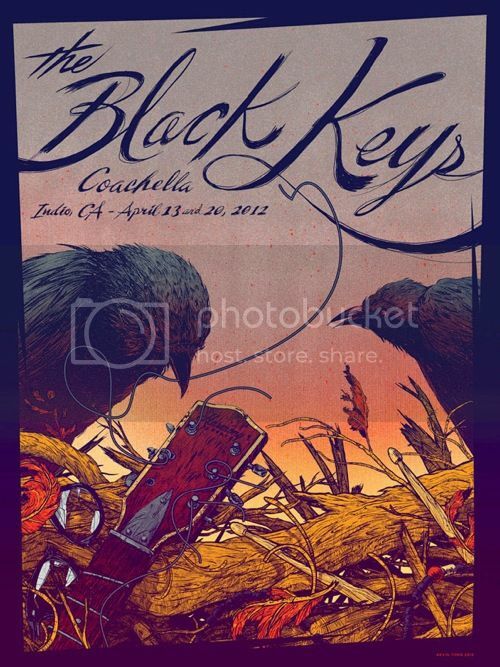 Kevin Tong will release his newest poster for The Black Keys today. It’s an 18″ x 24″ screenprint, has an edition of 500 (much less online), and will cost $45. It goes up today (Thursday, April 26th) at a random time. Visit TragicSunshine.com. Don’t generally have good luck with Tong’s random drops but I’m crossing my fingers. This one is a beauty!